New Grad Takes Over "Newsies" Lead as Star Departs for "Smash"
“Newsies” has a new union organizer. 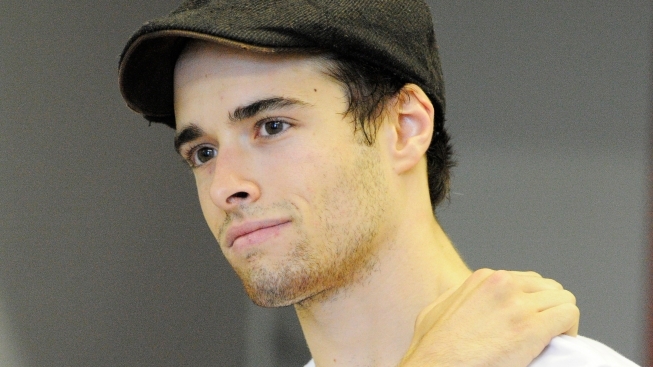 Corey Cott, a recent graduate of Carnegie Mellon University’s School of Drama, will become the show’s leading man, Jack Kelly, beginning with the Sept. 5 performance. Cott became the Jack Kelly “alternate” earlier this month. His university credits include “Assassins” and “Sweeney Todd.” He also recently worked on the New York reading of “Bare,” directed by Stafford Arima. “Newsies” won Tony, Drama Desk and Outer Critics Circle Awards for Score and Choreography. The Broadway company continues to feature Kara Lindsay as Katherine Plumber, Capathia Jenkins as Medda Larkin and Andrew Keenan-Bolger as Crutchie.